Freda Warrington’s A Taste of Blood Wine, the first book in the Blood Wine Sequence, was first released in the 1990s and was out of print until recently. It was reprinted in the UK earlier this month, and it appears that it will be available in the US in October. The next two books in the series, A Dance in Blood Velvet and The Dark Blood of Poppies, are also being republished. A Dance in Blood Velvet will be available in the UK in October, and the new cover was recently revealed. In addition to the original three books, Freda Warrington is also writing a new fourth book, The Dark Arts of Blood. After the war is over, Karl becomes acquainted with the scientist George Neville in hopes of learning more about science and how it might explain the supernatural. Most of the Neville family is quickly charmed by Karl, and Dr. Neville soon invites him to join the small research team that works in his home laboratory. However, one person in this group is very unhappy about this situation—Dr. Neville’s daughter Charlotte, who is uncomfortable with strangers and does not want one intruding on her daily work. Charlotte remains reserved and distant toward the newcomer, but Karl is intrigued by her when she forgets herself for a moment and shares both her belief in ghosts and some of her theories on explanations for their existence with him. As Karl learns about Charlotte’s true inner self she tends to hide from the world, he begins to fall in love with her and she with him—but Karl knows that one cursed as he is can never remain with a human like Charlotte, no matter how much the two care for one another. Freda Warrington is swiftly becoming one of my favorite authors. I very much enjoyed all her Aetherial Tales novels, especially Elfland, but A Taste of Blood Wine is my now my favorite of all her books I’ve read and one of my favorite books period. Like Elfland, it has compelling characters and family and relationship drama, but it also manages to avoid the same level of intense melodrama in Elfland, though there are some delightfully dramatic moments. It’s compulsively readable with some beautifully written passages, and even though I’m not usually a big fan of vampire lore, I thought what the author did with the myth and the backstory of some of the vampires was quite interesting. I devoured this book, and had a difficult time putting it down, especially since it contained characters I desperately wanted to read more about. A Taste of Blood Wine is one of those rare treasures I simply cannot imagine my bookshelf without because I can see myself returning to it again and again. 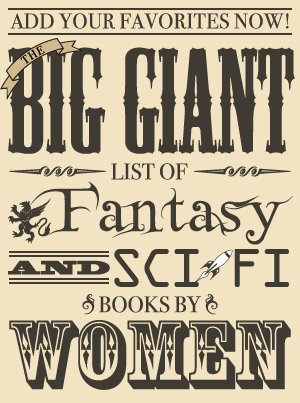 In addition to Charlotte, there are many other characters I enjoyed reading about. Her friend Anne, who is engaged to Charlotte’s brother, does not understand why Charlotte would allow others to control her. Anne has confidence and strength, and she will not accept anything less than equal treatment from her own fiance. Her concern for Charlotte was quite touching, and she was one of my favorite characters. Karl is a rather typical character, the basically good-hearted person who struggles with the dark supernatural side of their nature, but I liked him and found his history quite compelling once it was revealed. The other vampires in the story do tend to be darker than Karl, and each of them has their own individual personality. Kristian is shaped by his past as a preacher, clinging to his religious beliefs and the idea that his purpose is to do God’s work. Ilona too is influenced by her past, and I found her own backstory was very illuminating when it came to her present attitudes. Vampires didn’t follow the traditional myth in every sense. They were able to go outside during the day, and turning someone into a vampire took much more effort than merely drinking their blood. They also had access to a second realm, and I found the revelation toward the end about why that and vampires existed very interesting (though I won’t say what it is so as to not spoil it!). Like Warrington’s Aetherial Tales, A Taste of Blood Wine dealt with immortality, but the idea of being immortal also didn’t seem like wish fulfillment since the disadvantages of immortality were explored. I enjoyed reading some of the conversations that took place, such as one discussion on the coexistence of science with the supernatural. Kristian was opposed to science, seeing it in opposition to his religious beliefs, yet the scientist Dr. Neville explained to Karl his beliefs that God and science could coexist. There’s a focus on obsession: Karl’s obsession with Charlotte, Charlotte’s obsession with Karl, Kristian’s obsession with Karl, everyone’s obsession with Karl—well, many were quite captivated by the charismatic, beautiful Karl. 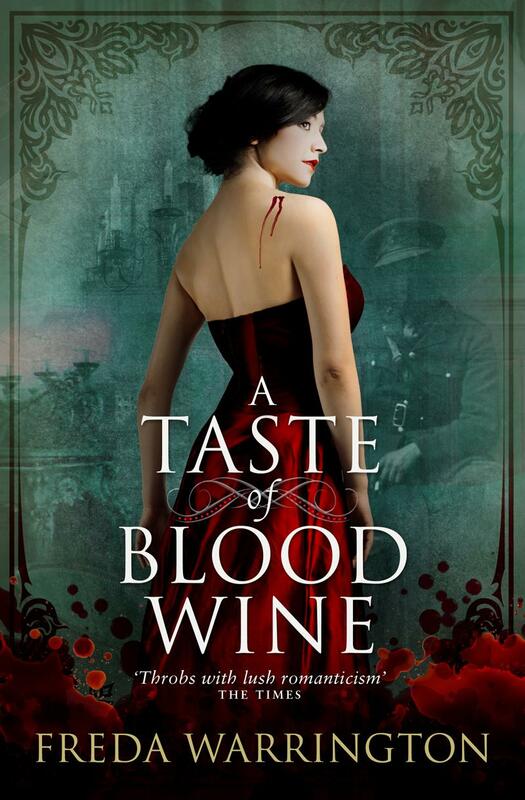 It’s also largely a love story as Charlotte and Karl desperately want to be together, but A Taste of Blood Wine is a difficult book to describe since it is fantasy-focused, character-focused, and pulls subjects such as science, religion, immortality, love, and war into the story. In short, I loved it and it made me want more of the world, characters, and writing. I was sorry when it ended and my thoughts kept returning to the story long after I put it down. There is nothing more I could ask for from a book that riveted me from the start and pulled me in further the more I read, and I cannot wait for the next installment to be re-released. Freda Warrington is a truly remarkable author, and A Taste of Blood Wine showcases her incredible skill with prose, story, character, and fantasy.